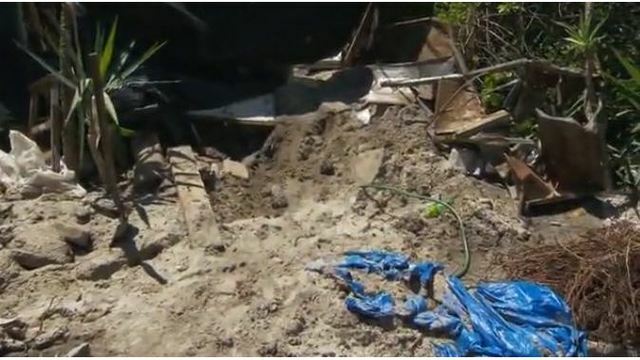 TAMPA (WFLA) - A Florida man says he made a mistake after admitting to burying a friend in his backyard. On Sunday, officials with the Orange County Sheriff's Office said a body was found in Greg Palermo's backyard. Palermo said his friend - who stayed with him off and on - died of a heroin overdose in his home. Palermo said he panicked because of a cop that was "after him" and later buried his body. "I buried him right here," he said, standing in his backyard. Palermo said he was honoring his friend's wish. "He jokingly said that morning while we were fishing that he wouldn't mind being buried in my backyard because it's so pretty," he said. Police came to the property on a warrant to search his house for drugs. Palermo says officers believed he was making meth in his home, but he denies doing that. However, it wasn't long before Palermo told the agents searching his home about the body. "I did it. I made a poor choice, should have called 911," he said. "Everybody said he was already dead but I still tried to give him CPR for 20 minutes." Palermo says he has not been arrested for anything, and the Orange County Sheriff's Office has not responded to a request for comment.